The dedicated conference to mark the week was held in Radisson Blu Iveria Hotel and it brought together the UN Resident Coordinator in Georgia, Niels Scott; the Minister of Internal Affairs, Giorgi Mgebrishvili; the Minister of Environment and Natural Resources Protection of Georgia, Gigla Agulashvili; Deputy Mayor of Tbilisi, Irakli Lekvinadze; the Ministry of Economy and Sustainable Development; representatives of Roads Department of Georgia and non-governmental sector. The purpose of the meeting was to discuss the current challenges in the road safety and to determine the future plans. Various educational activities are planned throughout Georgia during May 8-14 week. 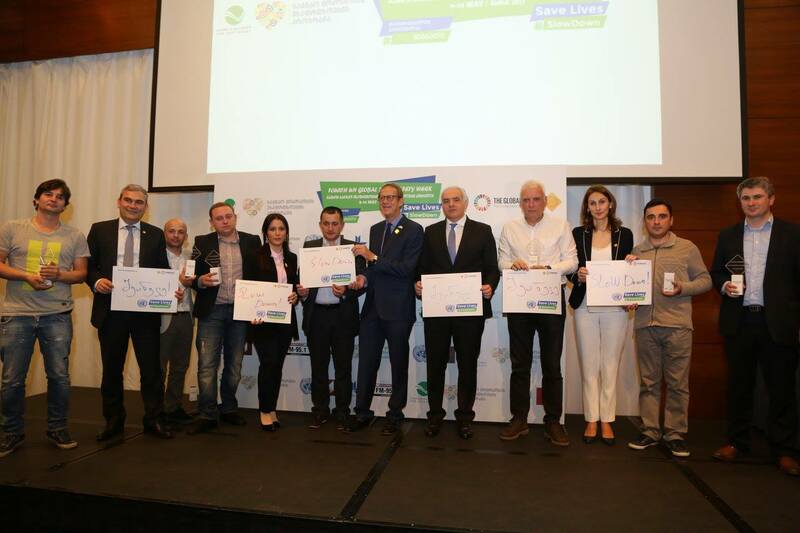 The Road Safety Week in commemorated in more than 100 countries and the focus is on informing drivers that driving at high speeds is essentially risky for all traffic participants and it increases the risks of car accidents as well as serious injuries and deaths.